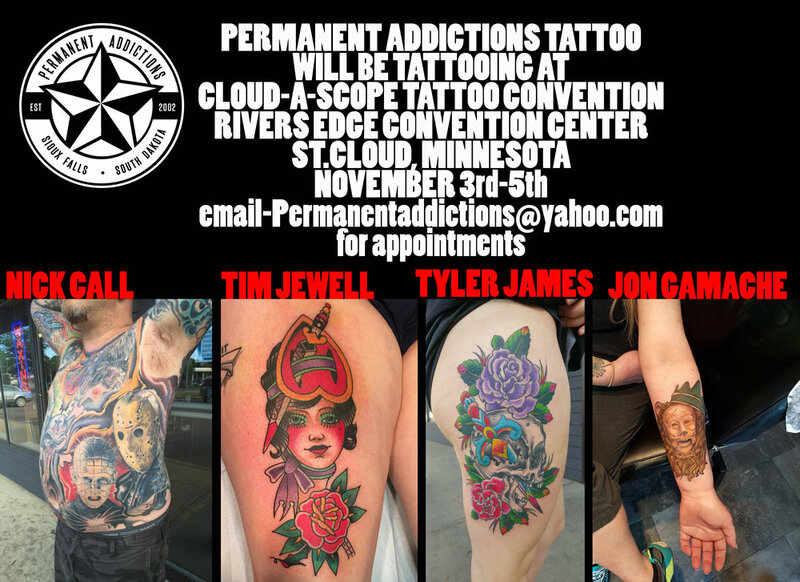 Nick, Jon, Tyler and I will all be tattooing in St. Cloud November 3rd-5th. If you have friends in the area please share this with them, we all have some available time and would love to see some familiar and new faces. Tyler and I will have our 54 page flash book with hundreds of designs available for purchase or tattooing. Our design or yours, your idea or ours.